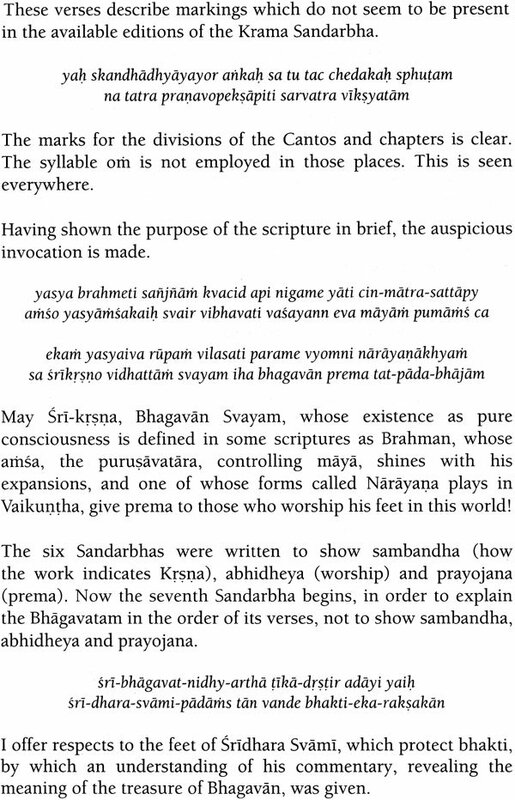 Sri –bhagavata –sandarbhansrimad –vaisanvatosanim drstvabhagavata –vyakhyalikhyate 'trayathamati. 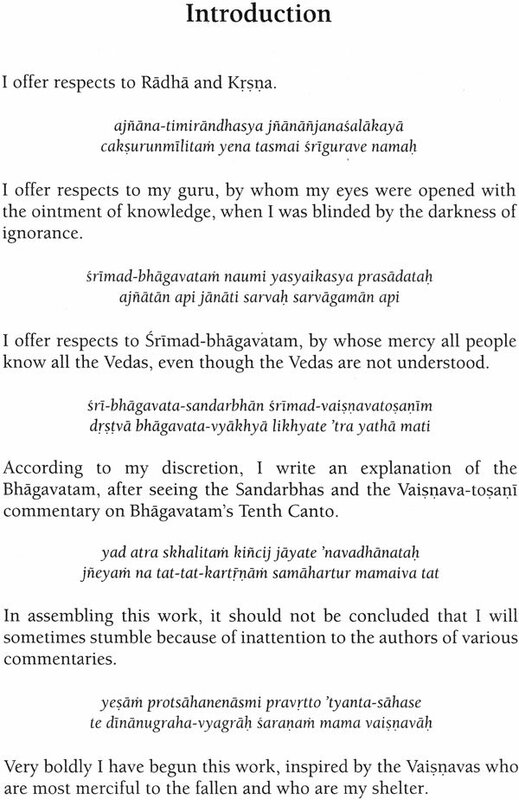 According to my discretion. 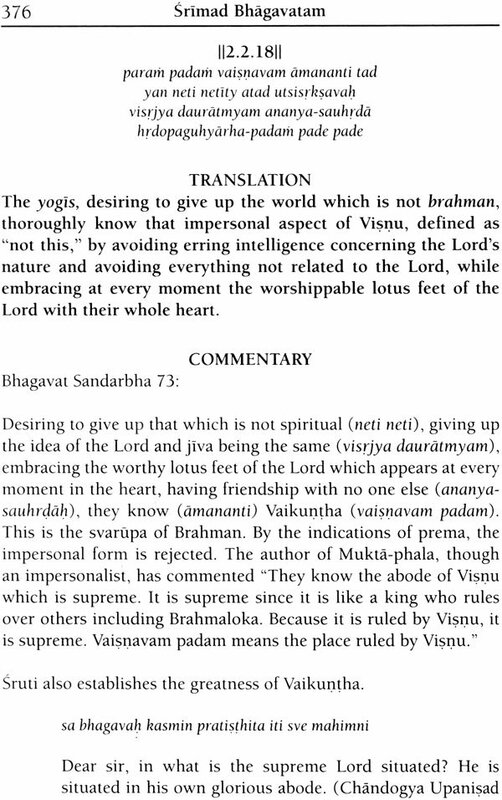 I write an explanations of the Bhagavatam, after seeing the the Sandarbhas and the Vaisnava – tosant commentary on Bhagvatam's Tenth Canto. 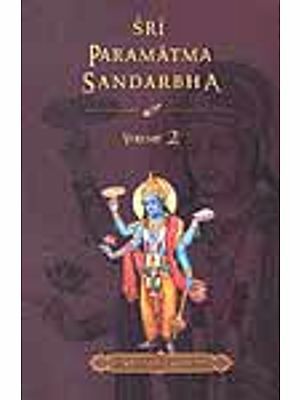 In assembling this work it should not be concluded that I will sometimes stumble because of inattention to the authors of various commentaries. 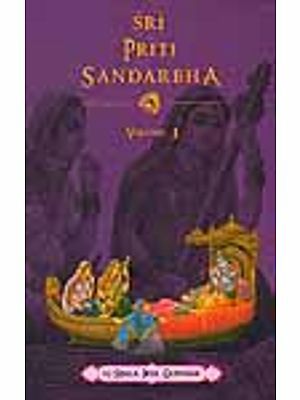 Very boldly I have begun this work, inspired by the Vaisnavas who are most merciful to the fallen and who are my shelter. 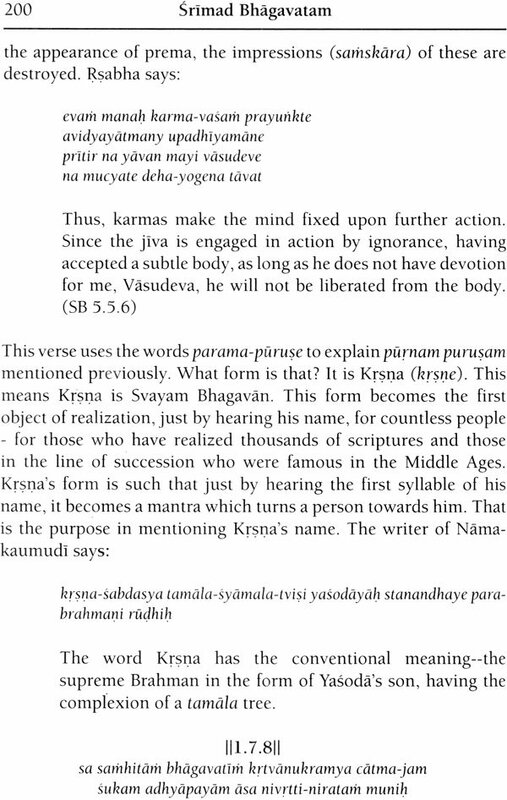 Krama Sandarbha is Jiva Gosvami's commentary on the whole Bhagavatam. 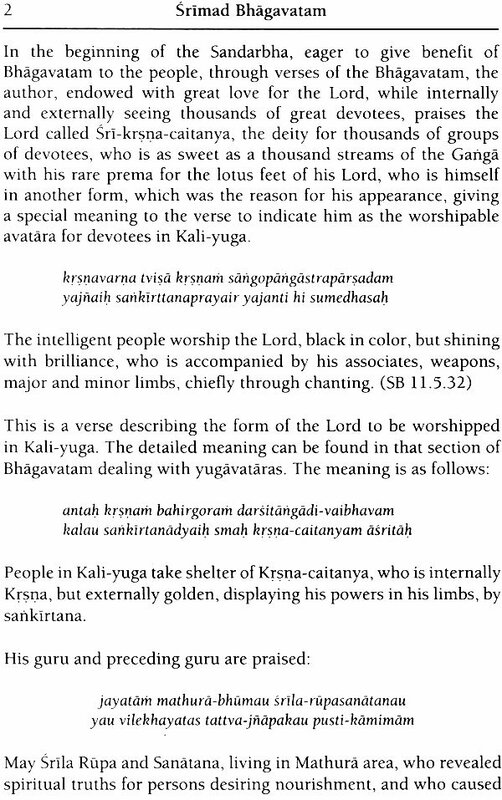 Among our acaryas Visanatha Cakravati has also written a commentarhy on the whole Bhagavatam. 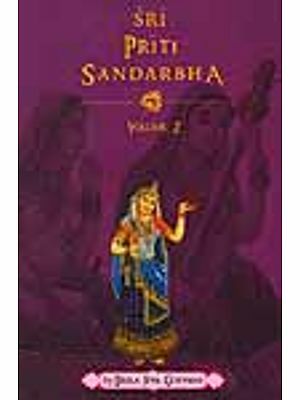 As the title suggests, the commentary on various verses of Bhagavatam is taken from the Sandarbhas. 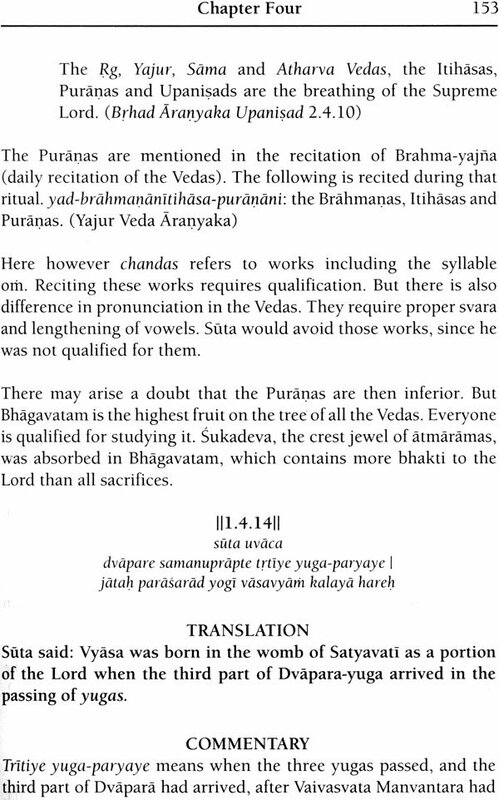 In the Sandarbhas Jiya Goswami supported his statement on Bhagvan, Paramatma, Krsna, Bhakti and prema by amply quoting and explaining Bhagavatam verses from various Cantos. 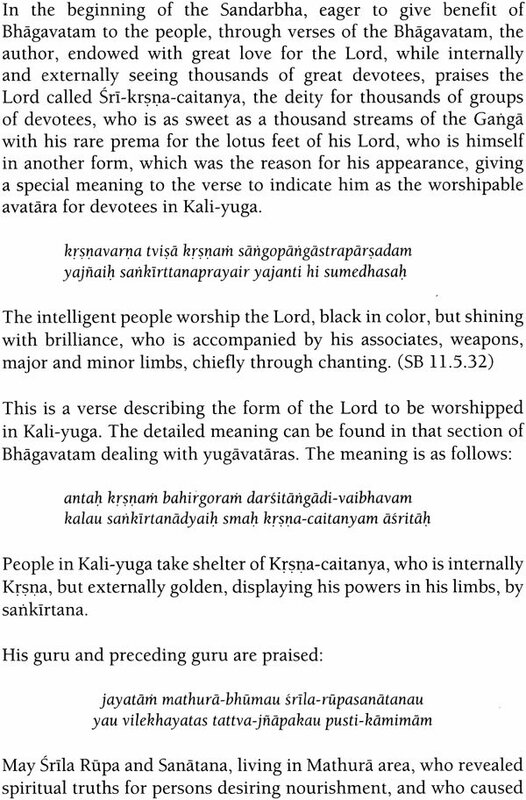 He has taken those explainations of verses and arranged them in order (krama) that they occur in the Bhagavatam. 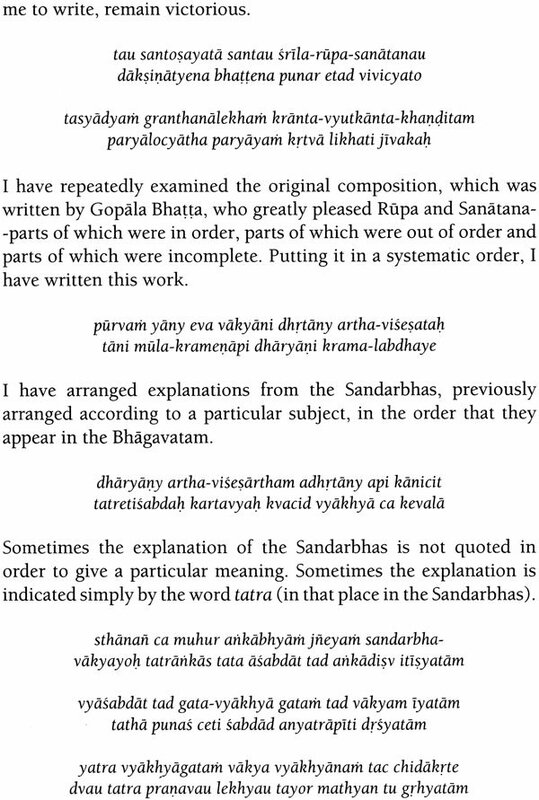 He additionally made comments on verses which are not found in the Sandarbhas. 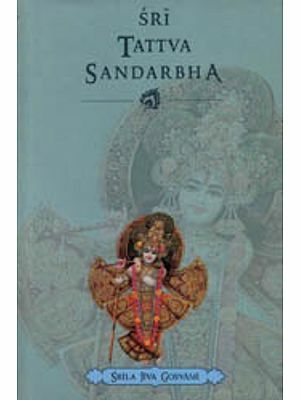 The commentaries taken from the Sanderbhas are marked in the translation. 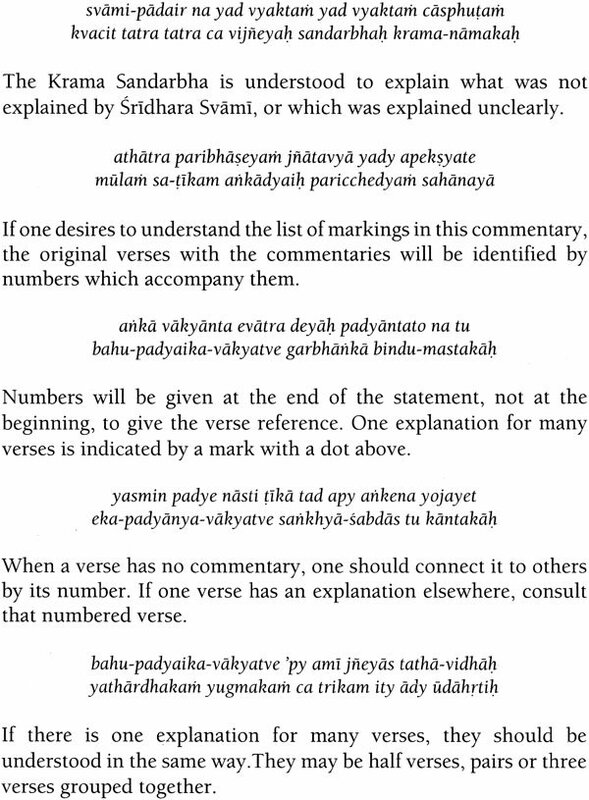 To reduce the number of pages of the work, only verses where he made commentaries are included in the publication. 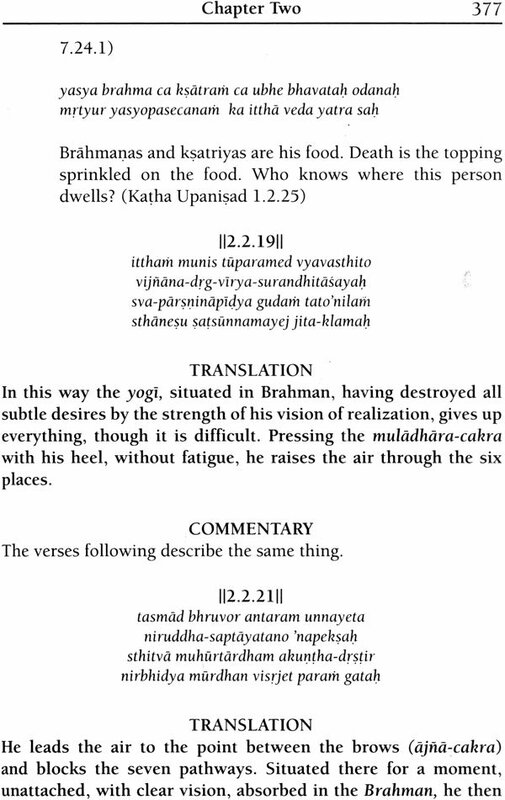 Thus some verses are missing. 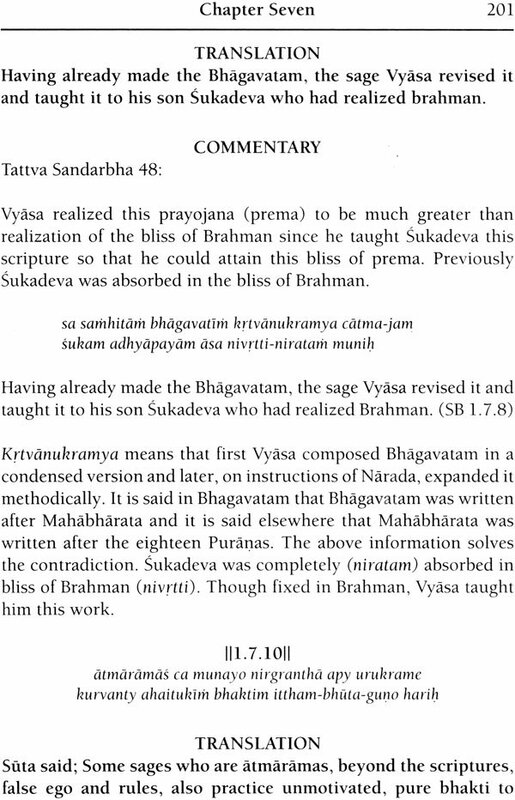 That means he did not make any commentary on those verses.